Jeff Moehlis: What can we look forward to at the event at the Lobero Theatre? 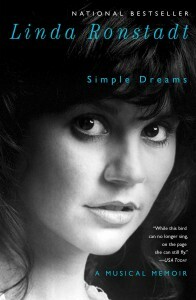 Linda Ronstadt: It’s based on the memoirs that I put out, the book that I wrote [Simple Dreams: A Musical Memoir]. It’s what the book is about – my musical choices and why I made them the way that I did. I don’t think that I was the greatest singer in the world, but what made me different from a lot of singers is I did a wide range of things. The idea of doing the book was to show how all those different musical influences were in place in my life, before the age of 10 where I was growing up. I grew up close to the border and I had a lot of musical influences, from my grandparents and from different radio stations, and stuff like that. So it talks about that and my musical journey, how I got to this and got to that. JM: In your memoirs there was a picture of you in Santa Barbara with Nelson Riddle. LR: Oh yeah, that’s right! JM: Could you share your memories of performing in Santa Barbara? LR: Well, what was really nice is the audience showed up all dressed up. They weren’t wearing T-shirts. It was really nice, because we were sort of dressed up on the stage. So when they panned the audience, it looked like the ’30’s or something – everybody looked so glamorous. It was a beautiful theater. I love a real theater instead of a sporting arena, with a real proscenium stage, and a real lobby. I think a theater is there to provide you with an experience of magical reality, and the way that those old-fashioned theaters are structured, they do a lot of the work before you even get to your seat. And the proscenium stage helps focus your attention on the performer, so it really helps. It makes a big difference. In a sporting arena, people are going all over the place, and you can’t concentrate, and the audience can’t concentrate. I don’t like them. Anything that says multi-purpose doesn’t have a good purpose for anything. JM: What theater was that performance at? LR: I think it was at the Arlington Theatre. JM: We’re blessed with many good theaters in Santa Barbara. LR: You’re lucky. The architecture’s beautiful. Santa Barbara has a lot of great buildings. 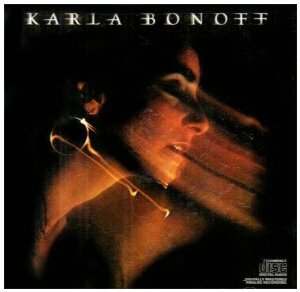 JM: Staying on the topic of Santa Barbara, Kenny Edwards lived here for a long time before he passed away, and Karla Bonoff has lived here for a couple of decades. LR: Yeah, she figured it out early on. I wish I’d bought the house next door to her. JM: What did Kenny and Karla bring to your music and your career? LR: Well, a lot of great songs. I mean, they were a great musical influence on each other, and then I got to have the benefit of a lot of that collaboration. You know, I had Kenny in my band, and I got to record a lot of Karla’s songs. She’s a really good songwriter. And Kenny really made a lot of contributions in the way the chords were voiced in the bass. He was a big influence on her music, I think. Some stuff they wrote together, for some stuff he was kind of around and his sensibility helped shape it. And then a lot of it was just Karla by herself, with her blazing talent. She’s really a talented writer. JM: How did you choose which songs to record? LR: It would be a song that urgently told some part of my story right then. Or something that I remembered really vividly. It might be just a couple of lines, and then the next line you just sort of sing through, and then you get to the next line and it tells about something that happened last week. It’s hard to say, but I’d feel a sense of urgency that I’d have to sing the song, or if I didn’t sing it I’d die [laughs]. It had to be that strong, or else I didn’t want to sing it. JM: Do you have favorite songwriters? LR: Oh yeah! Eric Kaz, Jimmy Webb, J.D. Souther, Karla Bonoff. Then there’s favorite songwriters whose songs I didn’t record, like Paul Simon. My God, you know, he’s the best, I think, of them all. Leonard Cohen, Bob Dylan. They’re all really good songwriters. And I love Lucinda Williams and Gillian Welch, too. 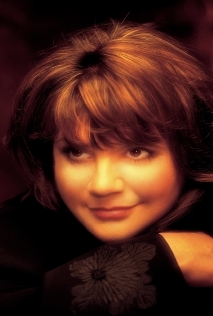 Cindy Williams is an amazing writer. So is Gillian – she’s just an incredible, crafty writer. Those songs are beautifully crafted, like American standards. We don’t see that kind of craftsmanship in the electro-pop music that’s happening today. We see hook lines and tracks, but we don’t see that carefully crafted, beautiful songwriting. Unless Randy Newman’s writing something new, or Paul Simon’s writing something new [laughs]. They’re both writing great songs even as we speak. I’ve heard all their new stuff, and it’s just great. They’re at the top of their talent – at this part of their career, it’s impressive. JM: One person that was in your musical orbit who passed away recently is Glenn Frey. 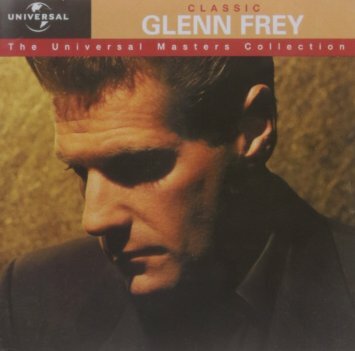 Can you tell me a little bit about the Glenn Frey that you knew? LR: Well, he was a shy kid. He really had a big ambition. I don’t think he was really sure of himself, because nobody ever really is. But he had a lot of guts, because he was that shy, and that insecure. And when he saw his chance he would just put his feet down and start playing his guitar and take his chance, you know? I always admired him for that. People see people onstage looking very confident, they don’t realize the insecurity and the sort of fear that people step out of in order to get into that role. The Eagles were an interesting group of guys, because they were very competitive with each other, but they also were very supportive of each other in strange ways. I think they were really a little clan, you know? LR: Just in general. Just the fear that he felt about whether this line of a song that he was writing was going to make it, or whether somebody was going to think it was corny or stupid, or whether somebody was going to reject it. That kind of basic primal fear [laughs], that people are going to think you’re stupid or not hip. JM: Is that something you felt also? You came across as being very comfortable onstage. LR: We all felt that way. I was never happy onstage. I was miserably nervous the whole time [laughs]. It got worse with every song. I was much happier in the recording studio. JM: One of your albums that didn’t get discussed much in your memoirs is Mad Love, which was seen as your “New Wave” album. JM: But you did cover three Elvis Costello songs on it. LR: Well, those were the songs that were around. That was what was being written. He’s a good songwriter, Elvis Costello. JM: What led you to go in that musical direction? LR: That was the songs I got. You know, that’s who was around, that was what people were writing. JM: Were you happy with how that album was received? LR: I think it sold pretty well. I don’t remember. JM: I have a couple of questions about what you might call the more obscure corners of your musical career. The first one is from before you were very well-known. 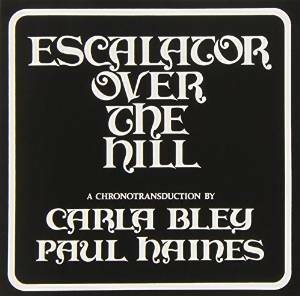 You sang on Carla Bley’s Escalator over the Hill. JM: How did you get involved with that, and what was that experience like? LR: You know, all I remember about Carla Bley is that she smoked a corn cob pipe. 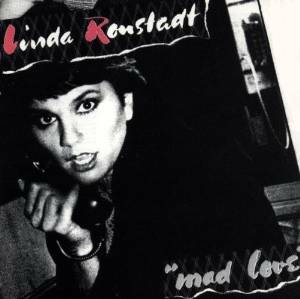 She was very eccentric and extremely talented, and I didn’t know what her songs were about. I didn’t have a clue. I was trying to fit them into something of my own. 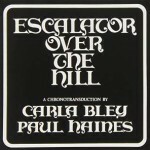 I remember “Escalator over the Hill”, that line. I thought that was kind of a neat line. But I was singing to her direction, the best I could. I wasn’t using my own instincts quite so much. Sort of same way as it was working with Philip Glass years later. JM: Yeah, that was another thing I wanted to ask you about. How did you get involved with that? 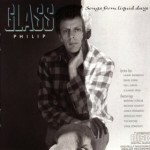 LR: Again, I can’t remember how I met Philip Glass [laughs]. He asked for me. I thought there were some really nice things on Songs from Liquid Days. The Roche sisters, what they sang really worked, I thought. Paul [Simon] wrote an interesting piece about the hum in a room that was pretty subtle – too subtle for the room. But Glass’ stuff was really hard to sing. He didn’t write singer-ly stuff, he wrote eccentric stuff that would make odd jumps in a human voice. The opposite of him would be Brian Wilson, who writes stuff that just so beautifully fluid for the human voice. He really knows how to write for singers. I love him the best. He’s one of favorite composers. Maybe not more than Paul Simon, but he’s right up there. I love his work. Musically, he’s unbeatable. JM: One more obscurity, and perhaps proof that almost everything is available online nowadays. I managed to track down the commercial you did for the Remington Electric Razors. LR: I remember that! That was written by Frank Zappa. JM: What’s the story behind that? LR: Frank and I had the same manager, Herbie Cohen. I don’t know how Herbie managed to get that commercial for Frank, but I thought he wrote it to be too obscure. I think he lost that commercial. I don’t know if they actually used it. I just remember “sharper cutters” [laughs]. I’ve never heard it since I recorded it. It was an odd pairing, me and Zappa. It wasn’t exactly a musical marriage made in heaven. JM: So that didn’t inspire you to do any other work with Zappa? LR: No [laughs]. He was an interesting musician, but I thought sometimes he made things deliberately esoteric. That was a case in point. JM: What, to you, was the good, the bad, and the ugly about the 1970’s music world? 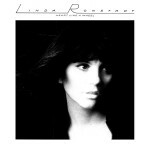 LR: Well, there was a lot of good music in the ’70’s. There was a lot of crap, too. One of the things that I notice now is that these girl singers, or any recording artist, put out an album every two or three years. We had to come up with one every year, with twelve songs. It’s a lot of pressure on you to fill up the album, and I think you make a lot of crap because of that. I used to always wish we could just make EPs or put out a single every once in a while. JM: One of your albums from that era really seemed to take off – Heart Like a Wheel. What do you think it was about that album that made it click so much? LR: I’ve never known. I’d be the last person to know. I just did stuff that I liked, and tried to put it in a musical setting that I liked. I had as much control as I could exert, that my musicianship would allow me to exert. I spent most of that on the track “Heart Like a Wheel”, because I certainly really loved cello, I wanted to do something with cello. So it was just the direction that I was pushing in, that was more toward arty folk music. Not folk music so much as art song. Because I was tired of singing in big loud places [laughs]. With big loud amplifiers. It meant that I could continue to have a wide range of styles. And that record was successful. I guess I don’t know. I never think about it in that way. I just had these songs that I wanted to sing, and I sang them the best that I could. The ones that were hits were sort of afterthoughts, like “You’re No Good”. That was a song that I’d added to my club act so that I’d have an uptempo song to close with. Because I sang a lot of ballads, you know? But that was the hit. I was stuck with more rock ‘n’ roll. JM: I got the impression from your memoirs that rock ‘n’ roll wasn’t the most comfortable fit for you. Is that fair to say? LR: No, I just see myself as a ballad singer. LR: For now, God… I don’t know the music world at all, except just to get in front of an audience any way you can. See how they react. You can’t wait around for somebody to record you or produce you. A lot of people think, “Oh, if I only had the right producer, they could make me a hit.” I think you have to be able to accompany yourself, and get in front of an audience and show what you can do. And if you get enough people talking about it, then they’ll buy your records. But the record business, the way that I knew it, is gone. It doesn’t exist anymore. JM: Is there anything that you want to set the record straight on, about your music career or your life? LR: Well, it’s just that the choices I made weren’t arbitrary. I wasn’t trying to reinvent myself, or any of those kinds of buzzwords that people come up with. 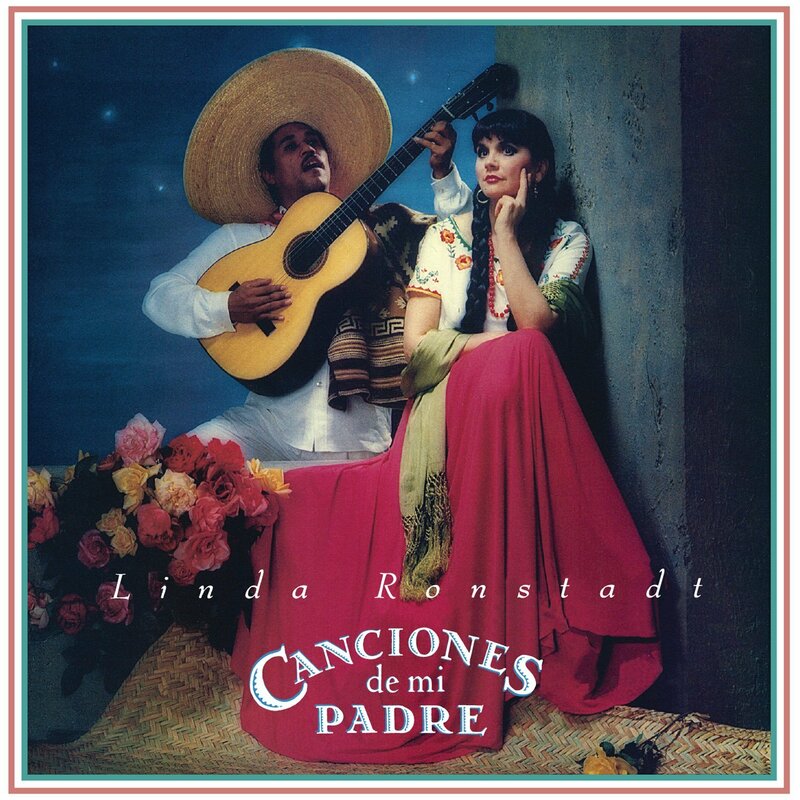 I just had heard a certain amount of songs and music as a child, growing up, listening to Mexican music, listening to opera, listening to Gilbert & Sullivan, and American jazz standards that my father would play on the piano or on the record player. I loved them all, and when I got into pop music I thought there was no reason I shouldn’t incorporate some of that stuff into what I was doing. In the case of Mexican music, it had to be more specific than that. I didn’t want to do Mexican-flavored rock ‘n’ roll. 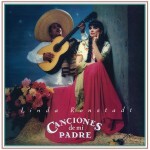 I wanted to do Mexican traditional music, of certain different regions. I mean, there’s so many different kinds of traditional musics in Mexico. Mexico, if you go four blocks the cuisine changes, the clothes change, the music changes. It’s just completely different. Such a diverse country. JM: Well, I can say that I appreciate that you didn’t just keep making the same album over and over. JM: I haven’t asked you about Parkinson’s disease. I’m happy that you are well enough to come to Santa Barbara for this event. LR: I’m on my way to L.A., so I’m stopping off. I’m not that active, but if I know the path from Point A to Point B, I can get there with help [laughs]. It’s no fun to have Parkinson’s disease, I can tell you that. Just getting your tongue to move when you’re trying to talk [laughs] is a big thing. JM: You seem to have a good attitude about it. LR: There’s nothing you can do about it. If you’ve got it, you’ve just got to accept it. You can try to keep it from being so horrible. Diet has a lot to do with it. Like, if I eat sugar it makes a big difference. And whether I exercise or not, although exercise is the last thing in the world you want to do because you’re fighting gravity all the time. It makes you feel really uncomfortable. But those two things do make a little bit of a difference. They take the edge off. They don’t fix it, but they make it not as bad. When you have it not as bad, you’re very glad to have “not as bad”. A rare and remarkable vocalist. So warm,wonderful,wise, unassuming and humble for such a legendary talent.A big musical brain, voice and heart. No wonder everyone swarmed around her and she mm remains deeply beloved. Linda Ronstadt is just a lovely creature, a true artist and one of the best.